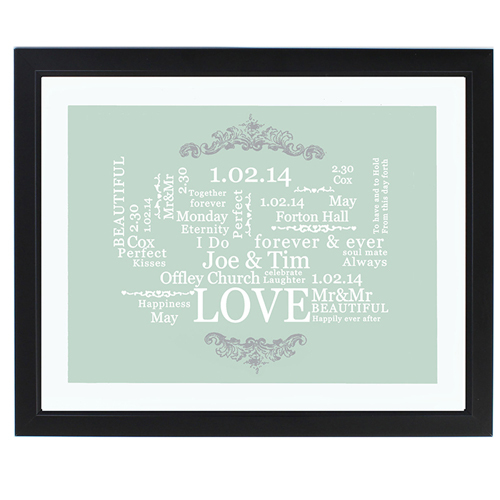 Our Wedding Typographic Art Poster in Black Frame can be personalised on numerous lines within the design. Line 7 = Time e.g. 12. Line 9 = Place e.g. Forton Church up to 25 Characters.